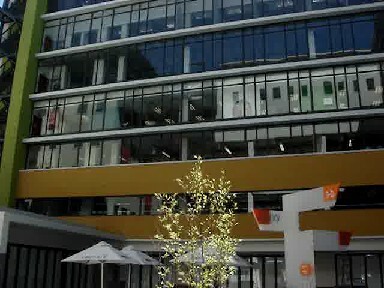 The home of Ogilvy, located on the corner of Sir Lowry Road and Russel Street, is a modern building, constructed of glass and steel with its classic Ogilvy red tower. The building completed in December 2006 has become the beacon of transformation for the area. 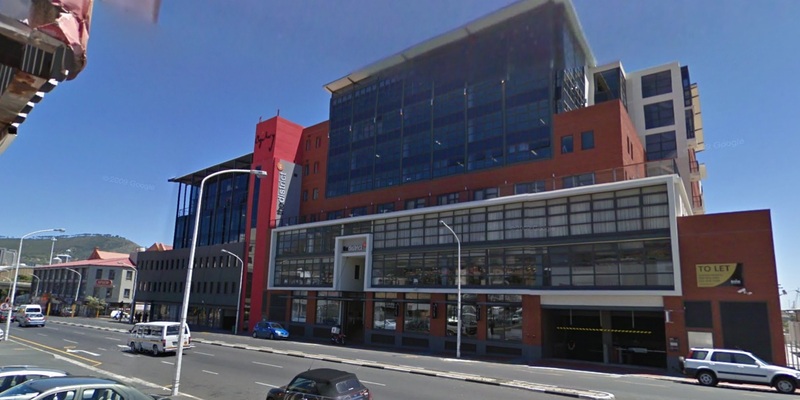 Located on Sir Lowry Road this building has spectacular views of Table mountain and forms part of the vibrant Sir Lowry Road corridor. With its glass and facebrick facade the building will represent an iconic example of a modern industrial architecture. 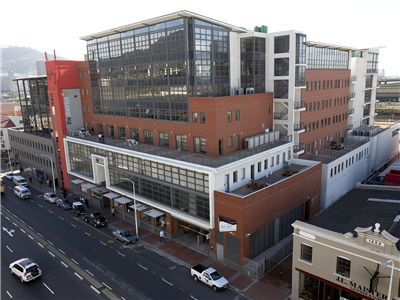 This building is orientated towards the courtyard, and with its dynamic steel and glass structure, provides a wonderful interface to the courtyard, as well as looking towards the Cape Town CBD and Southern Suburbs. From 156m² up to 557m² the district offers A+ Grade office space with superb finishes! Covered parking at R1,200.00 per bay.